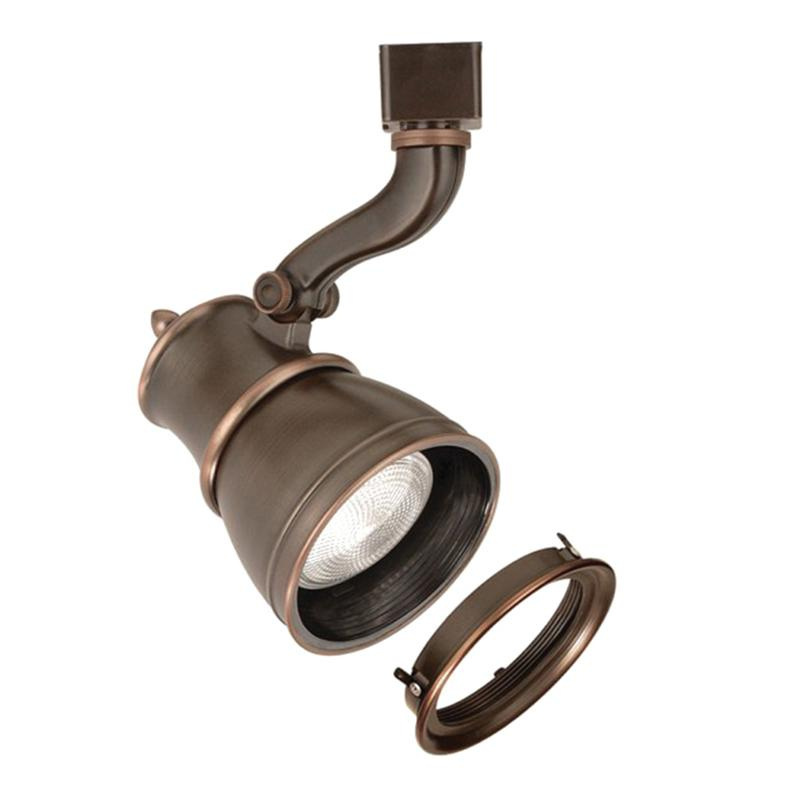 WAC Lighting Classic style 8-3/8-Inch line voltage premium track luminaire features die-cast aluminum construction with antique bronze finish. It has voltage rating of 120-Volts. Luminaire has 50-Watt PAR20 halogen lamp. It offers 350-degree horizontal rotation and 90-degree vertical tilt. Fully enclosed back ensures to prevent light leaks. Luminaire head measures 2-3/4-Inch Dia x 5-3/4-Inch. It is compatible with LENS-20-UVF, LENS-20-FR, LENS-20-SPR, LENS-20-BEL and LENS-20-HCL lenses. Premium track luminaire is UL/cUL listed.